Just Listed For Sale in time for Summer! Carver 42’ Aft Cabin Motor Yacht. Boat is kept in a boathouse on the Tennessee River in Chattanooga, TN. She has a new Safe CO Westerbeke Generator, which great improves your boating season. Also has the popular Dinette layout and lower helm. These boats are extremely roomy for their size, thanks to the 15’ beam. Other notable items: Huge Covered Aft Deck, Two Staterooms, Two large heads, washer/dryer, and extra large side decks. It’s like a condo on the water, with all the conveniences of home. Come see just how clean and shiny she is for yourself. 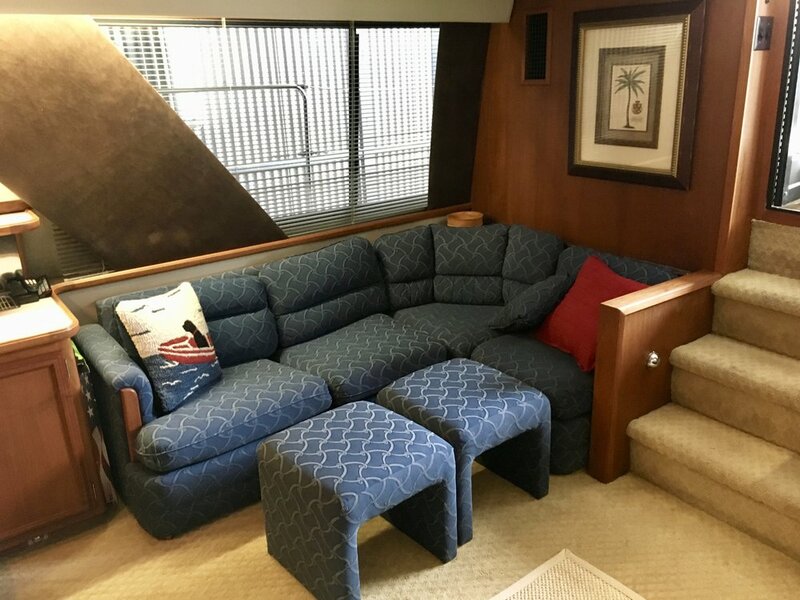 Come see just how livable this boat is today!